A weekly editor has said he is “humbled” by the support given by colleagues to a fund-raising campaign originally launched in aid of his wife. Reporters from two sister papers in Staffordshire have taken on swimming and running challenges after being inspired by the Burton Mail’s Take Five Minutes Campaign. Mail journalist Rob Smyth, left, completed the Bupa Great Birmingham Run 2013 and Uttoxeter Post and Times reporter Jo Craig finished a 2.5km swimathon over the weekend to raise money for Cure Leukaemia. The campaign was launched to help find a bone marrow transplant for Katherine Sinfield, whose husband Stephen Sinfield is editor of the Ashbourne News Telegraph and also a Burton Mail journalist. Cure Leukaemia, which is one of several organisations that has provided vital help to Katherine, helps fund a network of research nurses who administer life-saving drugs too costly for the NHS. Said Jo: “Cure Leukaemia is a worthy cause – everyone at some point in their life will know someone close to them affected by cancer and it impacts every aspect of a person’s life. Stephen Sinfield and his wife Katherine. Stephen said he felt humbled by the continuing support shown to his wife and the Take Five Minutes campaign. 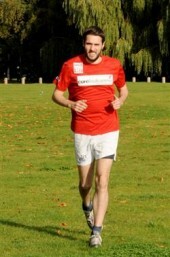 “My colleagues have really pulled together to raise money for leukaemia-based charities. They haven’t relied on readers putting their hands in their pockets, they have gripped this campaign with both hands and have dived straight in,” he said. “And in the case of reporter Jo Craig, that is quite literally what she did – dived straight in. “Statistics show that every 20 minutes somebody in the United Kingdom is diagnosed with blood cancer, and so there is a real need for campaigns such as this to continue as they not only raise vital funds for charity, they also raise awareness. Cure Leukaemia was co-founded by Prof Charlie Craddock, the consultant which Katherine visits every week. 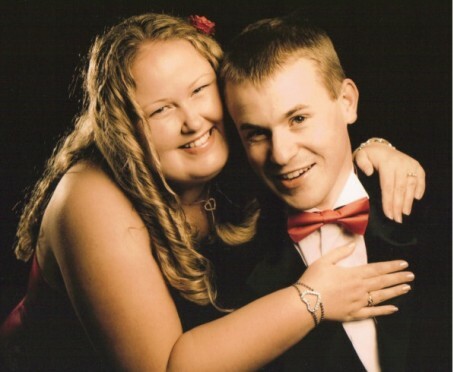 As reported by HTFP this month, a donor match has been found for the 33-year-old reception school teacher who is set to undergo a transplant operation later this month. Earlier this month, Katherine said she is adamant the donor campaign needs to continue. She has been writing a daily blog on the Mail’s website updating readers on her condition, while the National Blood Service Donor scheme and the Anthony Nolan Trust reported a 15pc increase in the number of potential donors coming forward in August. “I have said from the outset that this wasn’t a campaign to help me. This was a campaign to help every one of those 30,000 people each year who are told they have leukaemia,” she said. Uttoxeter Post and Times photographer Geoff Merryweather is also challenging himself to a mammoth 100-kilometre bike ride for Cure Leukaemia. Just to reiterate my thanks again to the colleagues and friends who have gone the extra mile to support Katherine and myself as she tackles leukaemia (CML). I have been absent from work since June, so it is great to see the campaign still running at full speed. Our readers are very compassionate people and we should not forget that. We have received lots of cards, emails and even donations from readers touched by Katherine’s story. As of tomorrow – Tuesday October 29, 2013 – she will have a new bone marrow and will be on the road to recovery.